I have received a number of emails recently asking for a little more division on the weekend show between the investing and political side of things. I will post this weekend’s show in two parts so we can keep the comments separate. Please let me know how you like this format and any other suggestions you would like to see us implement. From a market perspective this week we had a couple stand out commodities that broke higher. Aluminum and nickel both benefited from sanction talks while oil continued to move higher creeping closer to $70/barrel. Silver also had a good day on Wednesday which we had much commentary on throughout the week. Please be sure to look back on the recent week of editorials and company updates that are linked below. Segment 1: Chris Martenson from Peak Prosperity kicks off the show with a focus on the general commodity complex and some of the commodities he thinks are due for a bigger pop. Segment 2: To end the week Doc and I have started looking at metals charts for companies we like. This is one of those segments that we saved for this weekend’s show. We look at Godcorp, Yamana, and Novo. Segment 3: John Kaiser joins me to discuss company exit strategies that investors should always consider when investing in junior stocks. Segment 4: Business Editor of the Epoch Times Valentin Schmid provides his opinion of the trade disputes between the US and China. Hence why many of the “global warming” figure heads have changed that term to – climate change! Thanks as always for your efforts putting together the weekend show guys. Cory: One of your best weekend shows in months, helped no little bit by separating into two comment sections. Hopefully the political junkies post their comments on the other page. Always enjoy Chris Martenson’s big picture views, especially when they coincide with many of the thinkers on these pages. Thanks! Good idea and platform Cory. Agreed Silverdollar. Personally, I’m also a fan of keeping the investment conversations and political conversations on different threads, just like they are during he week. It is much easier to keep one train of thought from either vantage point. The political topics are much more popular because everyone wants to come in to sound off on their opinion, and people get very emotional because they they are very attached to their individual world view and echo chamber. However, it makes it difficult to ferret out the investing discussions in the midst of all the heated debates. This way people that are actually investing in the resource space can have these discussions regardless of their political/spiritual persuasion and just talk economics or specifics. This division is something that we should have done a long time ago. Big Al – like you mention there are room for all thoughts and perspectives and listening to all sides, but it is like posting ADD to have them all jumbled together. In addition, people don’t usually get offended to the point of leaving from charts or news releases or sector overviews or interviews or editorials on the resource sector. There are many that get their feathers ruffled over political/religious/social issues and people usually have a large amount of disdain for opposing views, and sometimes go storming off for good, or just decide not to post at all (as dozens have written me privately about over at ceo.ca). If those polarized topics politics/religion/social issues are dumped in with the investing/economics discussions, it discourages people that came here for the E in KER, and may have interest in the show sponsor. This is a much better format, and posters/readers that like both can still post in both rooms, so it isn’t denying anyone any of the content, just separating the topics for sanity’s sake. Thanks for all you and Cory do. That is the conclusion that we came to also Thanks Excelsior. Clive has been positive on Silver recently thus far has been correct. However, it did make me laugh when he said Silver investments were “safe”. They’re a bit too volatile to really consider them safe, but I get what he means…. at present levels most of the downside has been priced in during the consolidation since the August 2016 highs, and they’ve been gradually clawing their way upward since the Dec 2017 lows during tax loss selling / FOMC rate hike. (EXK) (EDR) Endeavour Silver Corp. Uranium has been going down too but some of the stocks have increased lately showing a divergence. I have sold out on most my uranium positions but am looking at them again. Go silver ! ;-D Impact, Americas and Santacruz are my favourites for now. Dan, calgary – Agreed that the Uranium stocks have been a bit peppier the last few weeks. I have only have positions in 6 companies these days but they had nice green shoots lately and I did a few intra-day swing trades on UEC and UUUU this week since the trading volumes were higher. As for the others you mentioned Impact Silver, Americas Silver, and Santacruz Silver I hold them all and have high expectations for all 3 in the next major leg up in the metals cycle later this year. It’s about dang time. 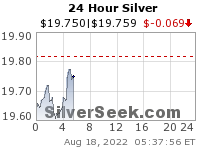 Silver has a lot of “catching up” to do relative to Gold and for that ratio to return to the mean. IPT closed the week 115.76% above its December low and looks ready to add to that gain. If so, that is probably a good sign for the rest of the sector. 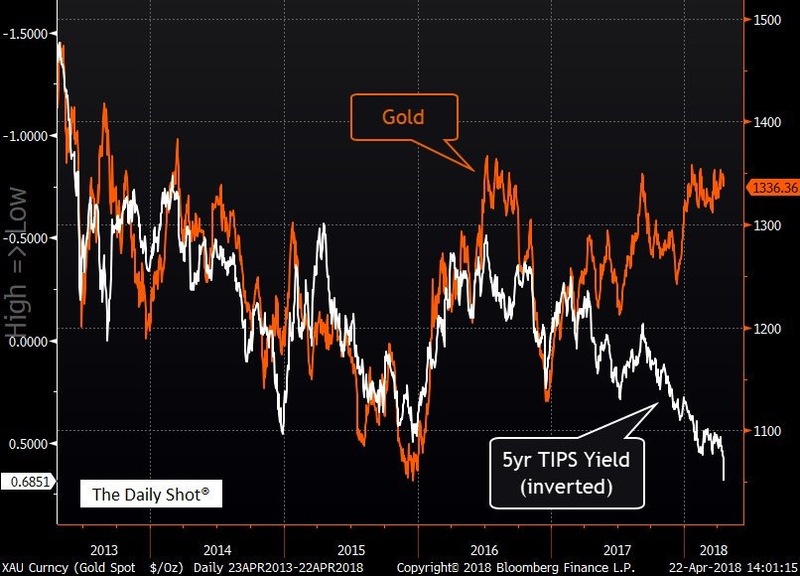 Matthew – thanks for sharing the IPT charts and yes the move out of the Dec 2017 lows has been very encouraging for Impact Silver, and foreshadowing a larger sector-wide move in the Silver miners. IPT is typically a first mover and good bell-weather stock, and so far the move out of last year looks very constructive. Ever Upward! UEX a good buy at the 200MA. I traded UEX last year but don’t currently have a position in it, but it is a very high torque Uranium Explorer for sure. I think that silver investments are “safe” as evidenced by my last major purchase which occured years ago. I am still showing a bit of a profit and I do get the assurance that I have tangible assets in my portfolio! +1 Good point Big Al. Buying the physical over the years has indeed been a safe move (with the exception of those that were buying instead of selling in the fever pitch of 2011). Yes Silver anywhere in the “teens” is a great place to acquire. I thought so at the time that I did it and, obviously, I still think so today. I can’t think of anything safer than silver right now, as long as you don’t buy on margin like Nelson and Bunker Hunt. And PSLV at a 2%discount to spot looks safer than buying Eagles at a 20% premium. And rumor has it that PSLV stores its bullion in a secret cave behind a waterfall in the mountains above Dawson City where Sgt. Preston of the RCMP and his wonder dog, Yukon King, are on patrol. On King, on you big husky! Good ol’ Clive, always an entertaining read if nothing else. Agreed. I take it all with a grain of salt, but he’s a pretty good technician, and has been pounding the table on Silver miners the last few months. For anyone keeping score, he’s been correct, and the Silver miners have been on a rise since their Dec 2017 lows. Many of the select PM miners have done much better than most even realize because so many are droning on about the Majors or ETF performance. It’s been a stock pickers market. 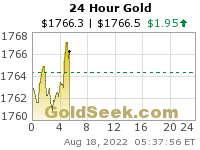 ~ Dustin , President and CEO, Anaconda Mining Inc.
Gold being repatriated quite a bit these days. Anders, When I visited Copenhagen in 1973 I stayed at a wild place called the Aktiv University. Is that place still going strong or has it gone with the wind? When did this happen? Why wasn’t I notified? I met a gorgeous redhaired lass from England in the mixed sauna at the Aktiv U. We toured the palace, gardens, and the Carlsberg brewery together.